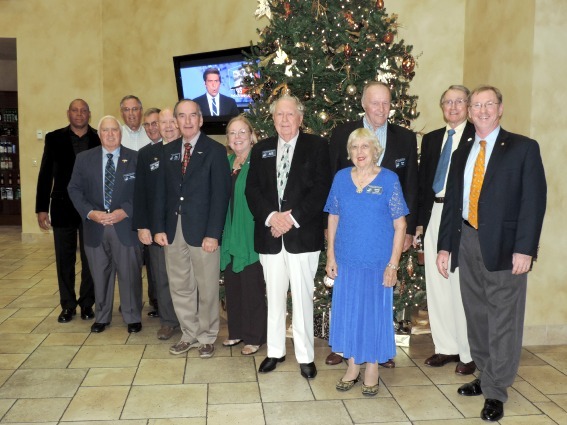 Sarasota-Manatee Council held its annual election of officers at our annual Christmas Party held Dec 3rd at Gold Coast Eagle Distributing. Tim and Nel served a great lunch and there was plenty of beer, wine and soda. Elected as officers were: President-Tim Rocklein, First Vice President-Martin Donner, Vice President for Membership and Retention-June Moore, Vice President for Legislative Affairs-Tim Rocklein (acting), Vice President & Treasurer-Gerard St. Germain, Correspond...ing and Recording Secretary-Nel Rocklein, Judge Advocate-Marc Soss, Editor of Anchor Line-Roger Betts and Directors: Andy Anderson, Steve Bartek, Cliff Bermann, Alex Morris, Peter Ross and Dennis Turner. 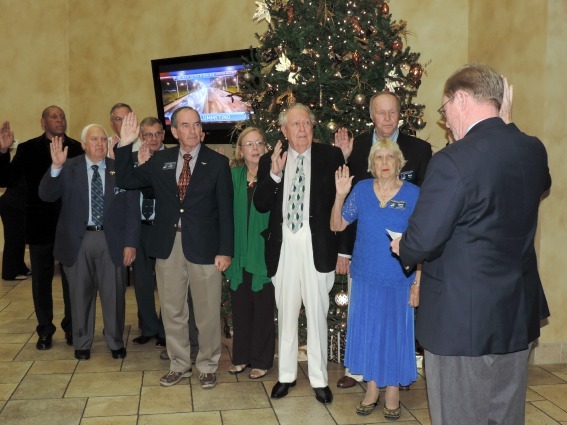 The above were sworn into office by our Area President Chris Paddock. Chris and his wife Barbara were our guests as were members of the U. S. Coast guard serving at Coast Guard Station Cortez.